The Faculty of Business Studies enables you to gain knowledge, develop business skills at all levels of higher education – applied business studies, undergraduate business studies, graduate studies (master) and doctoral studies. All the study programs are accredited, confirming the quality of education at our university. We place great importance on the quality of our work, therefore we are certified by the American agency AQA, along with ISO 9001 standard. The labour market recognizes and values the educational profiles that the Faculty offers. We have more than four thousand graduates and they are all employed. Having displayed the acquired knowledge at the Faculty, they got employed in Serbian or international companies and continued pursuing their successful careers. There are a number of students who have continued their education at renowned international universities. Some of them have started successful business and academic careers, as lecturers at faculties or professionals in different enterprises. That is the reason why our ALUMNI – CLUB, where our former students keep in touch with the Faculty, is filled with addresses from all continents. The family is getting bigger all the time. All information about exams, tests, results can be found on aour specialised student portal. 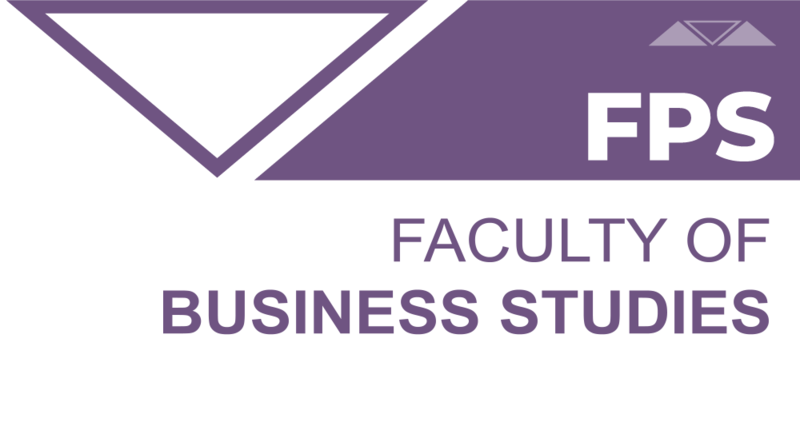 Why should you choose Faculty of Business Studies? The Faculty of Business Studies offers a contemporary system of studying. Students gain knowledge and skills essential for the processes of accelerated technological development, rapid changes in business methods, procedures and economic activities, aiming to maximize the profit of their enterprises. Students learn how to apply the scientific and professional achievements to perform various tasks in commercial, financial, accounting, marketing and other sectors in an enterprise. The Faculty of Business Studies in Belgrade is accredited and it is an integral part of the higher education system of the Republic of Serbia. The Faculty for Business Studies aims to help students acquire the fundamentals of theoretical and practical knowledge about business economics and business operations; theoretical and practical economic categories in the fields of microeconomics, macroeconomics, marketing, management, business economics, accounting, finance and banking; solve business problems analytically and become qualified in the field of corporate management. Upon finishing the studies, an award title bachelor of applied economics is received. At the Faculty of Business Studies students are educated for the following professions: accountants, financial managers, financial analysts, business analysts, bankers, sales and procurement managers, project managers, marketing researchers, PR managers, business organizers and all other professions regarding business activities in an enterprise. The degree of the Faculty of Business Studies is recognized in Serbia and abroad. Upon finishing the studies an award title bachelor of economics is received. The aim of the study program is to broaden knowledge and train students for managing business activities in enterprises. Improve your knowledge and become a master of economics. The study program is realized in cooperation with the Faculty of Geo-economics (Faculty of International Economics) Megatrend University. The aim of the study program is education and training of students in the field of finance and banking. Improve your knowledge and become a master of economics. Doctoral academic studies at the Faculty of Business Studies are organized in cooperation with the Faculty of Geo-economics (Faculty of International Economics) Megatrend University. Improve your knowledge and become a doctor of economics.